Our Boston drunk driving injury attorneys know some bar owners are more responsible than others in preventing alcohol-related car crashes. According to a recent story in the Post Crescent, a local bar owner wants credit for a reduction in alcohol-related car crashes in one Wisconsin County. The county has experienced a recent reduction in the number of drunk driving accidents and has offered several possible explanations for this downward trend. Officials have credited increased law enforcement of drunk driving, driver education programs, stiffer sentences and fines, as well as various other reasons. A local bar owner, however, is suggesting that the recent trend is related to bar operators and employees doing their part to keep drunk drivers off the road. The man claiming credit is the head of a local league of tavern owners. He contends that, since he and his members started their safe ride program three years ago, they have provided around 3,000 taxi rides at no charge to drunk patrons who needed help getting home. He said that nearly 50 bars and taverns support the program and contribute to it financially. He says that the last thing any tavern owner wants is for a person to leave a tavern drunk, get behind the wheel of a car, and cause an accident. While this group of tavern owners is doing its part to prevent alcohol-related traffic accidents, there are many others who will serve a patron to the point of intoxication and knowingly let them get behind of the wheel of a car. 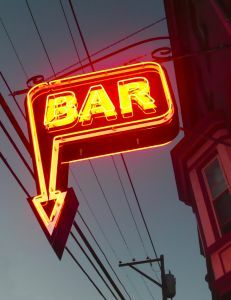 If this happens, the bar owner may be liable for a personal injury under a theory of law known as dram shop liability. As your drunk driving accident lawyer can explain, establishments that serve alcohol owe a duty of car to protect people on the road from being harmed in a car accident caused by someone who became intoxicated in their establishment. They can adhere to this duty of care in several ways. They can have a ride share program like the one in this article. Another thing they can do–and this may the most important–is to refuse to serve anyone who is already intoxicated. Dram shop liability is a legislative or judicially created remedy that serves as an extension to the standard duty of care owed by business owners. There was never any question that business owners owe a duty of care to prevent foreseeable harm to people who are in their establishment, and this extends that duty of care to those who may come into contact with a driver who has been served in their establishment. Basically, the general rule in negligence is that the duty is owed to prevent foreseeable harm, so dram shop statutes and case law solidifies the fact that people on the streets are within what the law calls a zone of foreseeability.